Once again, USC Thornton artists have made their mark on the 60th GRAMMY Award nominations, with faculty and alumni receiving nods across eight categories. Composition alumnus Billy Childs (’79) has received a Best Jazz Instrumental Album nomination for his album Rebirth — the track “Dance of Shiva” from the album will also compete in the category of Best Improvised Jazz Solo. 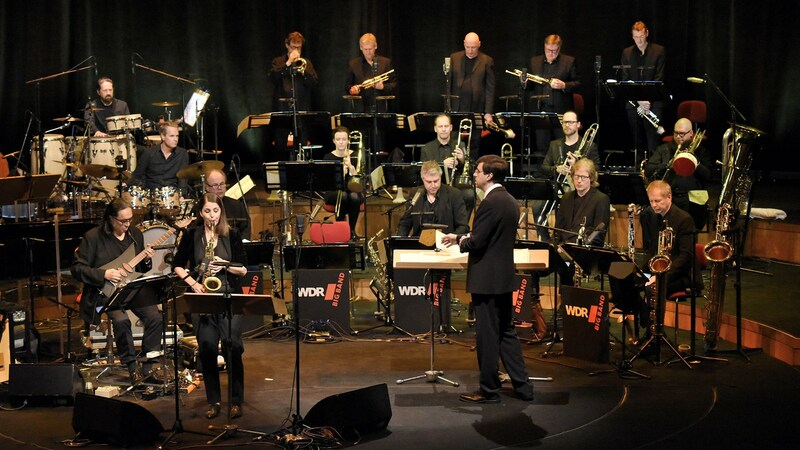 Jazz Studies faculty member Vince Mendoza also received two nominations for work with the WDR Big Band of Cologne Germany. Homecoming is nominated for Best Large Jazz Ensemble Album, while the track “Choros #3” is up for Best Instrumental Composition. A number of Jazz Studies faculty and alumni—Alan Chang (’02), Jason Goldman (MM ’02), Erik Kertes (’04) and trumpeter Bryan Lipps—contributed to tracks on Michael Bublé’s album, Nobody But Me, which has been nominated for Best Traditional Pop Vocal Album. Also featured on the album are performances by Alex Hahn (MM ’16), Erik Hughes (BM ’13), Walt Simonsen (MM ’06, DMA ’10), master’s candidate Michael LeBrun, and non-degreed alumni Lemar Guillary and Garrett Smith. Zhou Tian (DMA ’11), an alumnus of the Thornton Composition program, received a nomination for Concerto for Orchestra in the category of Best Contemporary Classical Composition. Tian’s concerto was recorded by Louis Langrée and the Cincinnati Symphony Orchestra on their Concertos For Orchestra album. Alumnus Michael Tilson Thomas (BM ’67, MM ’76), long-time music director of the San Francisco Symphony and Judge Widney Professor of Music at USC, has been nominated with the San Francisco Symphony for Best Orchestral Performance with the all-Debussy album Images – Jeux – La plus que lente. And finally, Thornton collaborator and honorary alumnus John Williams has received a nomination for “‘Escapades For Alto Saxophone And Orchestra’ from Catch Me If You Can” in the category of Best Arrangement, Instrumental or A Cappella. Click here to see the complete list of awards nominations. The 60th GRAMMY Awards show will be broadcast live on January 28th, 2018, on CBS.